The space formerly occupied by H Café at the corner of Sanchez and 17th will soon be reborn as Saucy Asian, a Korean street food spot with fusion-y offerings like tacos, burritos, and KFC (Korean fried chicken) wings. It's the project of first-time restaurateur Andrew Shinn, who nonetheless is a culinary school graduate and whose family has been in the quick-service restaurant game over the years. He tells Inside Scoop that he's combining his mom's recipes for Korean barbecue, bulgogi and such with modern twists, and he's aiming to open sometime in March. 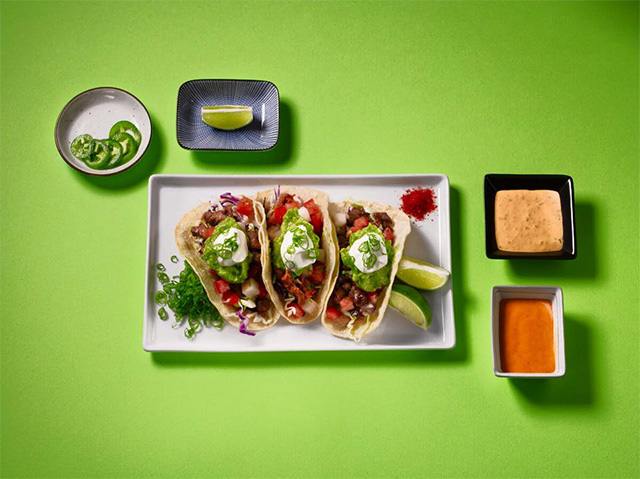 Despite the pitfalls that fresh concepts and first-time restaurateurs sometimes face, Shinn tells the Scoop, "We’re tasking a risk but it’s something that I’ve been wanting to do for a while." Hoodline spoke to Shinn as well, who says he was inspired to create a Korean street-food restaurant that brought him back to his graduate school days, "partying in Seoul and eating late." He says it will be street food, but in a sit-down restaurant environment (it's unclear if it will be full-service or fast-casual). For now, he's working to get open and applying for a beer-and-wine license  and he's hiring a cook, especially one with Mexican food experience. Drop him a line at 650-808-7351 if that's you.